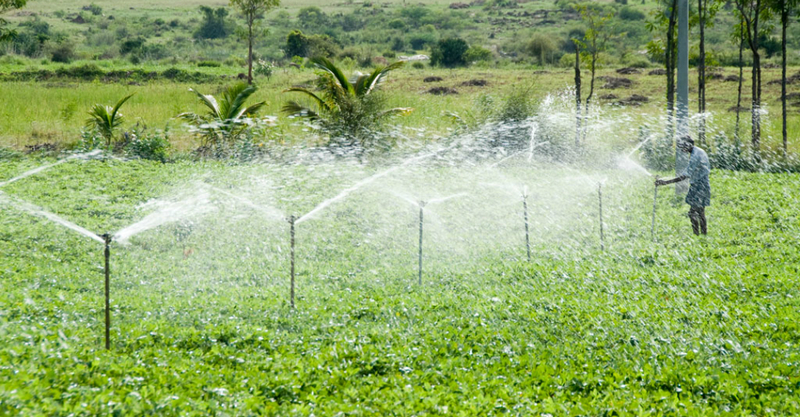 Cooperative Agri-business Sustainability Approach is an initiative funded by M-pesa Foundation and implemented by Farm Concern International to enhance agribusiness and commercialization sustainability of Nyalani irrigation scheme in Kwale County. 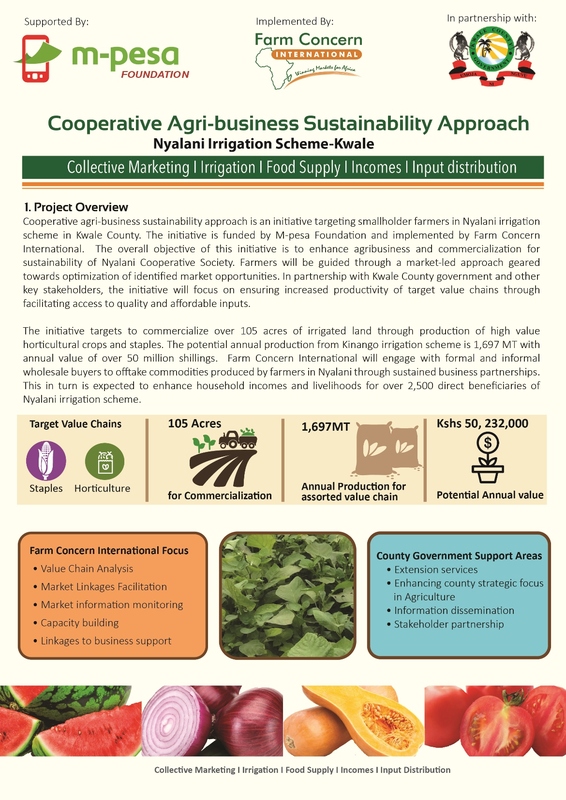 Farmers will be guided through a market-led approach geared towards optimization of identified market opportunities. 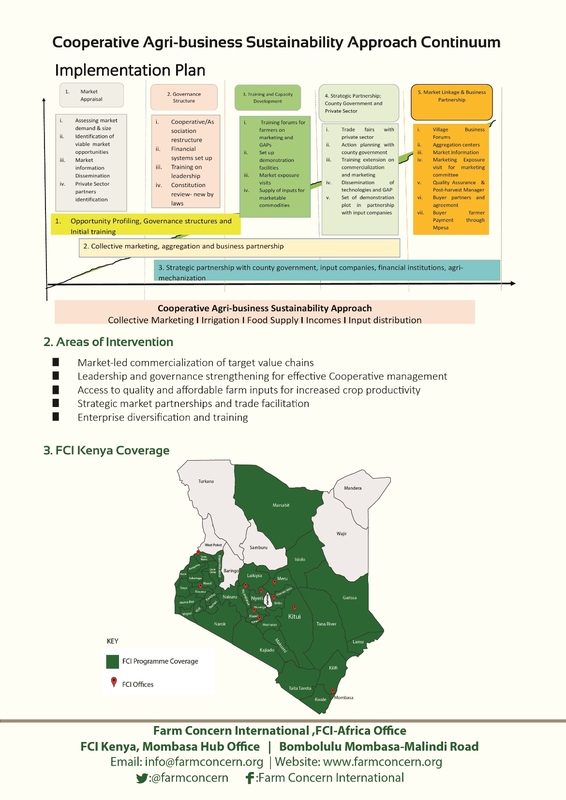 In partnership with Kwale County government and other key stakeholders, the initiative will focus on ensuring increased productivity of target value chains through facilitating access to quality and affordable inputs.